As we discussed last time, there is a remarkable level of scientific consensus on the reality and severity of human-caused global warming. However, most members of the public are unaware of this consensus – a topic which we will focus on in the next installment. Anyone with an Internet connection or a newspaper subscription will be able to tell you that many scientists think global warming is natural or nonexistent. As we know, these scientists are in the vast minority, but they have enjoyed widespread media coverage. Let’s look at three of the most prominent skeptics, and examine what they’re saying. S. Fred Singer is an atmospheric physicist and retired environmental science professor. He has rarely published in scientific journals since the 1960s, but he is very visible in the media. In recent years, he has claimed that the Earth has been cooling since 1998 (in 2006), that the Earth is warming, but it is natural and unstoppable (in 2007), and that the warming is artificial and due to the urban heat island effect (in 2009). Richard Lindzen, also an atmospheric physicist, is far more active in the scientific community than Singer. However, most of his publications, including the prestigious IPCC report to which he contributed, conclude that climate change is real and caused by humans. He has published two papers stating that climate change is not serious: a 2001 paper hypothesizing that clouds would provide a negative feedback to cancel out global warming, and a 2009 paper claiming that climate sensitivity (the amount of warming caused by a doubling of carbon dioxide) was very low. Both of these ideas were rebutted by the academic community, and Lindzen’s methodology criticized. Lindzen has even publicly retracted his 2001 cloud claim. 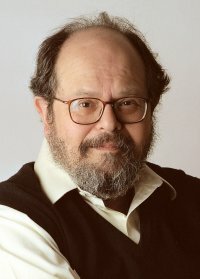 Therefore, in his academic life, Lindzen appears to be a mainstream climate scientist – contributing to assessment reports, abandoning theories that are disproved, and publishing work that affirms the theory of anthropogenic climate change. However, when Lindzen talks to the media, his statements change. He has implied that the world is not warming by calling attention to the lack of warming in the Antarctic (in 2004) and the thickening of some parts of the Greenland ice sheet (in 2006), without explaining that both of these apparent contradictions are well understood by scientists and in no way disprove warming. He has also claimed that the observed warming is minimal and natural (in 2006). Finally, Patrick Michaels is an ecological climatologist who occasionally publishes peer-reviewed studies, but none that support his more outlandish claims. In 2009 alone, Michaels said that the observed warming is below what computer models predicted, that natural variations in oceanic cycles such as El Niño explain most of the warming, and that human activity explains most of the warming but it’s nothing to worry about because technology will save us (cached copy, as the original was taken down). With a little bit of research, the claims of these skeptics quickly fall apart. It does not seem possible that they are attempting to further our knowledge of science, as their arguments are so weak and inconsistent, and rarely published in scientific venues. However, their pattern of arguments does work as a media strategy, as most people will trust what a scientist says in the newspaper, and not research his reputation or remember his name. Over time, the public will start to remember dozens of so-called problems with the anthropogenic climate change theory. This entry was posted in Media and the Public and tagged antarctica, climate change, credibility, debate, denial, education, environment, global warming, greenhouse effect, greenland, IPCC, lindzen, media, michaels, politics, s. fred singer, science, skeptic, skeptical science by climatesight. Bookmark the permalink. Kate, Thank you for this excellent series. You are polite and thoughtful. The point today is that there is very high motivation for carbon energy companies to fund deniers. In fact there is a fiduciary responsibility to stockholders to maximize profits in any way possible. Promoting confusion about the real harm of carbon fuels is an obviously profitable message. At some point in the discussion of science, we must bring in ethics and morals. You are too kind by addressing them as inept scientists who misbehave, but some think they are villains. We’ve also got a whole series on Lindzen, and have started one on Michaels. Well done as usual, Kate. I think more people should understand the contretemps between Singer and the late Roger Revelle. It’s well described in Merchants of Doubt, pp 190-197. Monckton should be under Journalists. Monckton should be under ‘Phlyarologists’, ‘Prevaricating Peers’ or ‘Trolls’. S. Fred Singer hasn’t published since the 1960s? A quick check on the net reveals that isn’t true. I found two published in geophysical research letters in 2004 after spending a total of 10 seconds of searching. I wonder how many I would find if I actually put some time in it. Keep your facts straight please. Well I found 3 more in just a cursory search. The dude is 86 years old, so frankly it’s amazing that he has been involved in 5 papers when he is well past the age of retirement. Experts address the question: What are the prospects for an effective implementation of the Kyoto Protocol? A comparison of tropical temperature trends with model predictions David H. Douglass, John R. Christy, Benjamin D. Pearson, S. Fred Singer Int. J. Climatol. (2007) DOI: 10.1002/joc.1651. DOI: 10.1260/095830509787689277. So essentially dmmcmah is arguing that (1) it’s not true that Singer has rarely published in academia since the 1960s, and (2) um well, it may be true that Singer has rarely published in academia since the 1960s, but that’s OK because he’s an old man, and therefore (3) warmists are wrong, or something. Duh? Well, to be fair, we should count the original Douglass et al. (2007) paper — though not the addendum — as one post-1960 publication. Still, it’s interesting to note that the 2007 paper makes an elementary error in statistical theory (see the paragraph on “error bars”) — which I think explains why the only people citing this paper are climate cranks. If Singer had some mutation that made him old at 46 he’d be dead by now. In the light of what John Cook says about ‘backfire effects’ (see yesterday’s Crock of the Week), might I suggest that if you revisit this article you may want to reconsider how you present the list of debunk links towards the end of this article, on the grounds that the current presentation of these reinforces the myths.